I have always been drawn to the outdoors. My father introduced me to outdoor sports at a very early age. When I was four he took me down hill skiing. At age eleven he took me on my ﬁrst mountain climb. I suppose the desire to challenge myself came from those early experiences. During high school I participated in many sports - wrestling, track and field, cross-country running. But it was the outdoors that really drew me. I followed a fairly normal course of life, in that I went to college then on to graduate school and received my degrees in engineering and then an MBA. I was employed in the field of information technology, on track to ascend the corporate ladder like everyone else. But while I was sitting in my ofﬁce years ago, I found myself dreaming of adventure. I longed to challenge myself. I drew my ﬁnger across the world map hanging in my ofﬁce and noted likely points to reach around the world. The routes changed now and then but the desire never did. Perhaps like all of us, I found there were many reasons to wait another week, another month, another year. The season would be better later, as now never seemed like the right time. And so the years would pass. Then an event occured in my life that changed me completely. It was a moment that would forever transform and rearrange my life, providing meaning, clarity, and purpose. The tragic death of my friend and fellow adventurer, Goran Kropp, while on my belay, was a massive sucker punch to my entire being. It made me realize the fragility of life and that anything can happen in the blink of an eye. All the planning and wishful thinking about what I was going to do disappeared instantly and I knew then where my life was heading. For once I knew the purpose of my life. As a career writer, director and producer, I was born and raised in Tacoma, Washington then moved on to San Francisco and eventually Los Angeles, where I have worked for the last 15 years. I co-created, wrote and produced VH1’s first scripted series STRANGE FREQUENCY. Roger Daltrey hosted the critically acclaimed anthology series rooted in the mystique and mythology of rock & roll. I started in Hollywood with the ground-breaking production company Propaganda Films and post supervised movies, music videos and commercials, while working with directors such as Spike Jonze, Antoine Fuqua, and Mark Romanek. I also wrote and directed the award winning short films SHORT ON SUGAR, SMART CARD, and A HOLLOW PLACE which aired on television in the U.S. and around the world as well as at major film festivals including Sundance, Toronto, Miami and Los Angeles. I was selected as a directing fellow for the Independent Film Project’s (now Film INDependent) 2004 Director’s Lab, an intensive 8-week directing program. Previously, I spent 5 years directing and producing industrials in San Francisco and am a member of Writer’s Guild of America, West and the Motion Picture Editor’s Guild. As a personal friend of Erden and Nancy's, my wife and I were two of a very small group that attended their wedding in Homer, AK in June, 2003. We were also on hand when Erden closed the circle of his circumnavigation at Bodega Bay in July, 2012. I have been following Erden's journey since before it even began so I was ready to jump in and make Castaway With Purpose a reality. Although I will always be a die-hard Seattle Seahawks fan, Los Angeles is home where I live with my wife and son. I’ve spent the better part of 35 years in the theater. 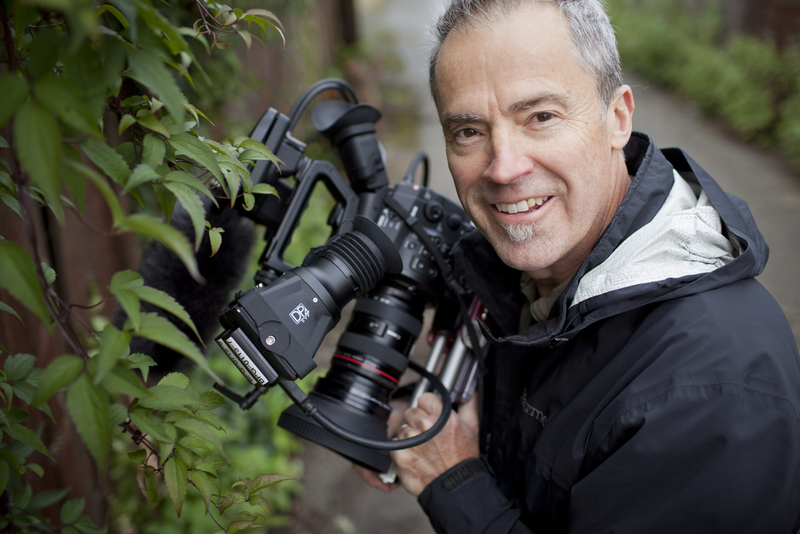 For the past 15 years I’ve worked on hundreds of video and ﬁlm shoots in the Seattle area wearing many hats; writer, director, actor. After hearing Erden’s story I was immediately hooked by his journey. One man taking on the challenge to circumnavigate the world under his own power just simply amazed me. I found I couldn’t shake it…couldn’t get it out of my head. I was immediately drawn to the question of 'why does someone do this?' What type of man takes on such an unbelievable challenge, and succeeds where others have failed? I’m thrilled to have had the opportunity to incubate Erden’s story. There are so many “take aways” from it: commitment, desire, perseverance, dedication, resilience, and dogged determination. I feel it's a story so worthy of telling and sharing with the world. It all really distills down to one simple but profound premise: following your dreams and what it takes to achieve them. For me, reaching my dreams have meant embracing the journey toward them. It's when I feel most alive. I spent ten years in New York City working on Broadway productions and traveling in touring companies around the world before shifting my focus to film. I attended school at the Brooks Institute in Santa Barbara, California. While there I met my wife, also a photographer, and we later moved to Seattle, Washington. For the past twenty five years I’ve been a lighting designer and cameraman working on documentaries, independent features and corporate projects. In live theater, the artistic enjoyment for me as an artist was the whole package; the lights, the story, the music, and the audience. Now as a photographer I enjoy those singular moments of the day when extraordinary light presents itself. Beautiful light can unexpectedly reflect off a skyscraper window, shimmer off the surface of moving water or slowly fade as the sun dips below the horizon. The world goes quiet for that instant and stress disappears. I give myself permission to enjoy those moments. The challenge to translate what the eye experiences to my lens is quite rewarding. The story we’re telling of Erden Eruc is truly a compelling journey of an individual with extraordinary perseverance. His dogged determination towards his goal is profound. There’s no doubt to me that throughout his journey, Erden has also taken the time to pause for those special moments of light. For the past 20 years I've organized an annual 'HaircutsForeKids' golf event for the Seattle Children's Hospital and donated my haircutting skills to patients and families at the hospital. With very generous friends and sponsors, we have applied more than $100,000 to those without medical coverage. As an Around-n-Over board member I have also helped to raise funds for the non-profit over the past six years. Being a part of the Around-n-Over team, as well as a longtime friend of Nancy and Erden's, I've had the opportunity to be present at critical stages of their lives, both in Australia and in the U.S. Throughout the journey, and with the help of family and friends, we were able to ease part of their burden. My role is mainly behind the scenes for logistics, support and whatever is needed. I'm very grateful and honored to have shared in Erden's historical achievements and look forward to supporting a film worthy of two incredible people - Erden and Nancy.